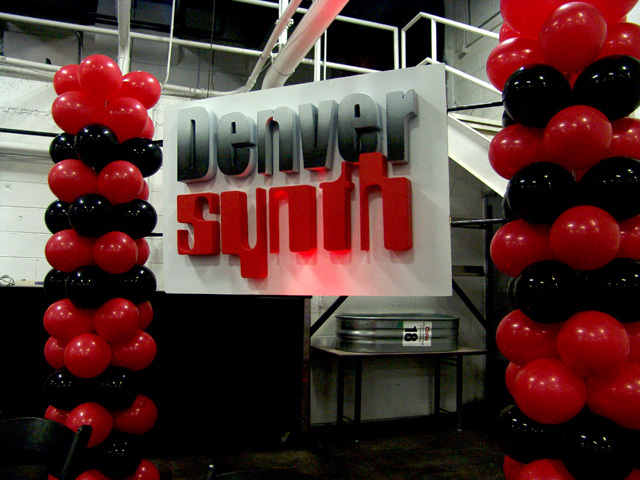 We recently were asked to create balloon decorations with an Industrial Chic flair to them. 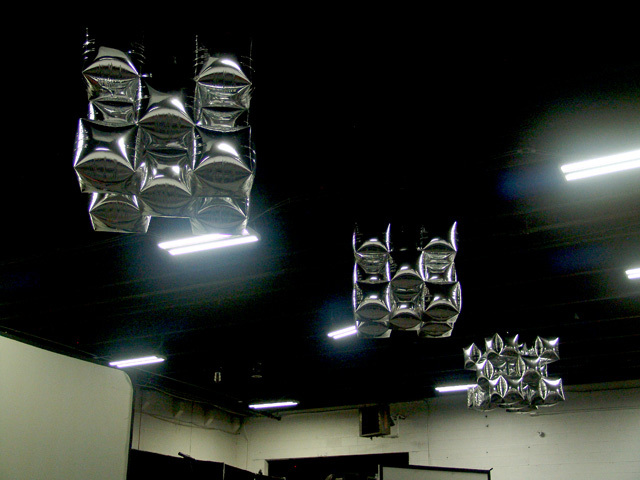 We decided to have EyeCandyProps.com create a 3D letter sign and we used mylar balloons filled with air and hung from the ceiling. 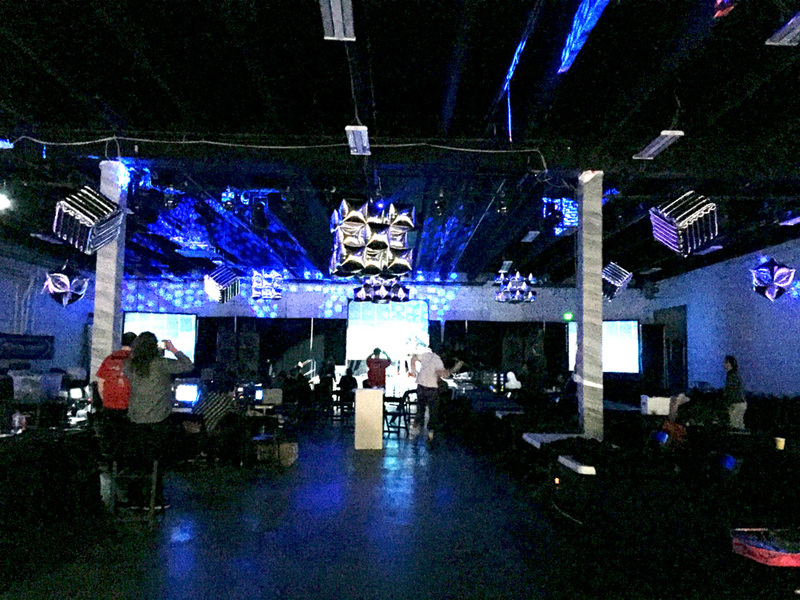 With the excellent reflective surfaces we were able to add extra light and atmosphere with the reflections all over the room!